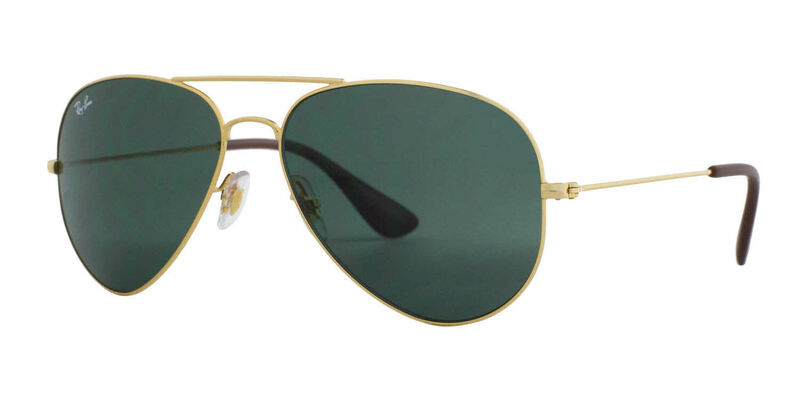 This version of the Classic Ray-Ban Aviators is very light with a thin profile. The lenses are made of either plastic or polycarbonate (not glass as the original). Craftsmanship is great as you would expect from Ray-Ban; however, it is important to note that this model is manufactured in Ray-Ban's facility in China. This is now very common, but the main reason I mention it here is for awareness that this is not a knock-off fake Ray-Ban. FramesDirect (FD) carries and sells authentic glasses based on my many years of experience with them. And as always, FD's service is awesome. This version of the Classic Ray-Ban Aviators is very light with a thin profile. The lenses are made of either plastic or polycarbonate (not glass as the original). Craftsmanship is great as you would expect from Ray-Ban; however, it is important to note that this is model is manufactured in Ray-Ban's facility is China. This is now very common, but the main reason I mention it here is for awareness that this is not a knock-off fake Ray-Ban. FramesDirect (FD) carries and sells authentic glasses based on my many years of experience with them. And as always, FD's service is awesome. Pretty good quality sunglasses all around. Good fit and no glare.